The Rome Statute which created the International Criminal Court entered into force on 1 July 2002 after ratification by 60 countries. The Court was established to help end impunity for the perpetrators of the most serious crimes of concern to the international community. Many governments, including US and Rwanda, considering the unlawfulness of some of their foreign policies, have however opted out from the Statute, fearing that their citizens [soldiers and other professionals] while on official missions could fall under the jurisdiction of the Court. Since its inception, ICC has mainly focused its work on African warlords and dictators. But surprisingly, its selective justice has targeted so far only alleged criminal leaders who don’t serve Western interests on the continent. 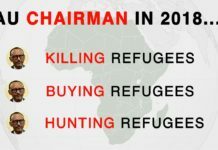 This attitude has made many African leaders and analysts see in ICC an international judicial instrument aimed at protecting only capitalist interests, as do other similar institutions such as ICTR, WB, IMF, WTO, and many others. In May 2012, in The Hague, ICC condemned former Liberian president Charles Taylor to 50 years of imprisonment for his role in the Sierra Leonean war and plundering of mineral resources. The Rwandan government has far too long built its internal and foreign policies on lies, so much so that even when they may be displaying some truth, it may fall in the overall picture of their usual lies. 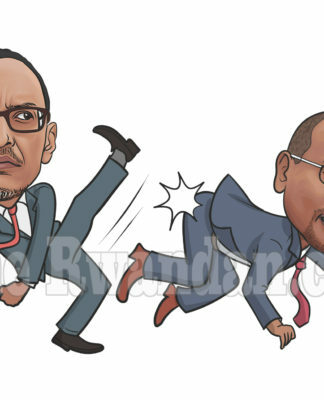 Somewhere and somehow, among Kagame’s many Western backers, there are officials who consider him having caused too much suffering to the Great Lakes region populations. Kagame’s RPF invaded Rwanda on October 1st 1990 claiming to bring democracy and development in that country. Today Rwanda has more political prisoners, exiled journalists, or overall abused human rights than at any time of its recent history. The majority of Rwandans have been dispossessed and are starving because they are not allowed to plant their usual food of subsistence. Kagame forces with affiliated armies of Uganda and Burundi invaded DRC twice [1996 and 1998] under the pretext of protecting Rwandan frontiers. Instead, the Rwandan president and Yoweri Museveni, president of Uganda, exploited and stole DRC mineral resources worth millions of $ and continue until today. Let’s not forget that these minerals end up in all today electronic devices [computers, mobiles, etc] that the world is so fond in its insatiable search for comfort. Millions of Congolese and Rwandan refugees have died as a consequence. The case which triggered an official demand for the mentioned group for Paul Kagame’s indictment is strong enough to get him effectively investigated. It is supported by solid evidence. He has been massively supplying recruits and arms to M23, Congolese rebel movement which is active in North Kivu province since April 2012, fighting against DRC governmental forces. Can this time humanity prevail against greed? The outcome of the complaint that these Congolese and Rwandan organisations present to ICC this Friday 17th August will answer that question. The request for Kagame’s indictment seems to be a test for ICC’s credibility in the eyes of the majority of Africans. It will confirm for them if that institution has not been another tool of imperialism against African interests.